Baby Taimur, son of Kareena Kapoor and Saif Ali Khan, dressed adorably in a red tee and shorts, was pictured in Bandra with his nanny. 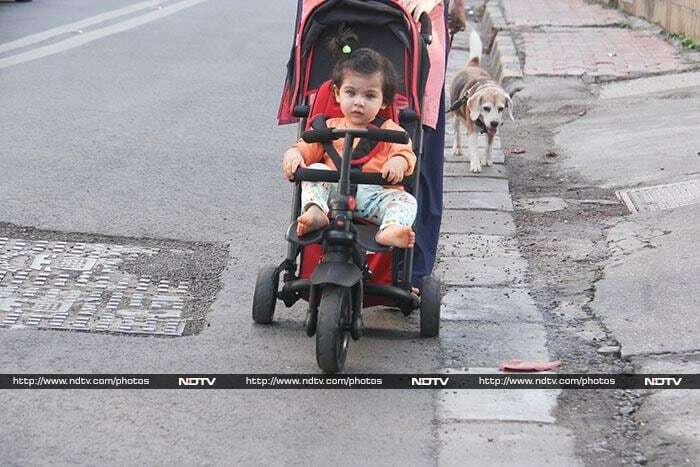 Taimur's cousin Inaaya Naumi Kemmu was seen taking a stroll in the neighbourhood. She is Soha Ali Khan and Kunal Kemmu's daughter. Meanwhile, Kareena Kapoor kept her date with the gym. Sonam Kapoor, back in Mumbai, was spotted in Mehboob studio. 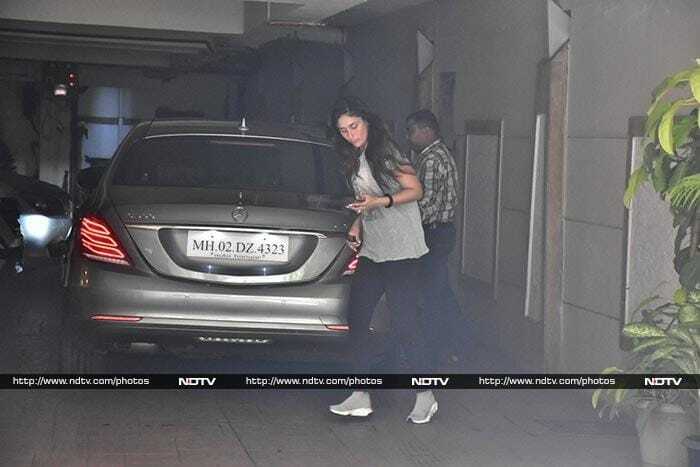 Sara Ali Khan was seen outside her gym too. 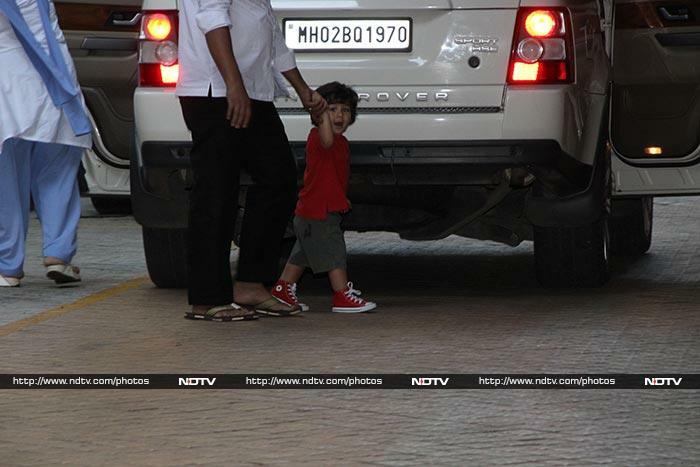 New dad Shahid Kapoor posed for the cameras at a recording studio. Rakul Preet Singh and Rhea Chakraborty went for lunch at a Bandra eatery.